So, I was very excited to see hear The Burden of So Many Roses in audio in time for Valentine’s Day. I figured it would go live right about that time, but it was still a nice surprise. Otherwise, just a touch over 9,000 words this week. No subs or anything. I’m itching to switch to short fiction for a while, but my stories keep morphing into longer things (current project word count: ~70,000 words). Maybe once this current story is done. Maybe. The Burden of So Many Roses is live for your listening pleasure. Generally, I have a tough time reading/listening to my work once it’s out in the world, but Tina is incredible. Go give her a listen. I couldn’t be more thrilled. Just in time for Valentine’s Day! The Burden of So Many Roses is now in audio over at Toasted Cake. Having a bad day? Well, have a listen. It could be much, much worse. Getting my writing groove on this week with ~8,000 words. 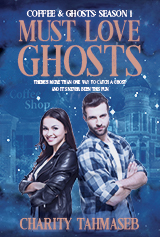 In a surprise move, I received an acceptance this week for audio/reprint rights for Ghost in the Coffee Machine. So, not only did I sell this story once, I sold it again. Word to the wise: keep as many rights as you possibly can. In the case of Ghost, I control them all. And sometimes that pays off. Also, I love audio/podcasts, and I’m very excited about this. Ghost in the Coffee Machine to The Drabblecast. Even more audio this week! The Girl with the Piccolo (first published at Kazka Press) is now in an audio podcast over at Cast of Wonders. Go have a listen, if you’re so inclined. In amazing news of the amazing variety, I have once again fooled someone into publishing my poetry. I know. No one is more surprised than I am. The poem will be included in Proud to Be: Writing by American Warriors, volume 3. I had a poem in volume 2, so this is extra nice. I also received two rejections this week. Actually, it was three. One of the journals is using an automated system. So, I received a rejection on Monday, and then again, for the same submission, on Thursday. It was either a glitch or they wanted to make absolutely certain. Either way, it made me laugh. And I’m working up another “episode” in my Ghost series. The only thing I didn’t do was submit something, which I should do, soon. My submission tracker is looking mighty thin.